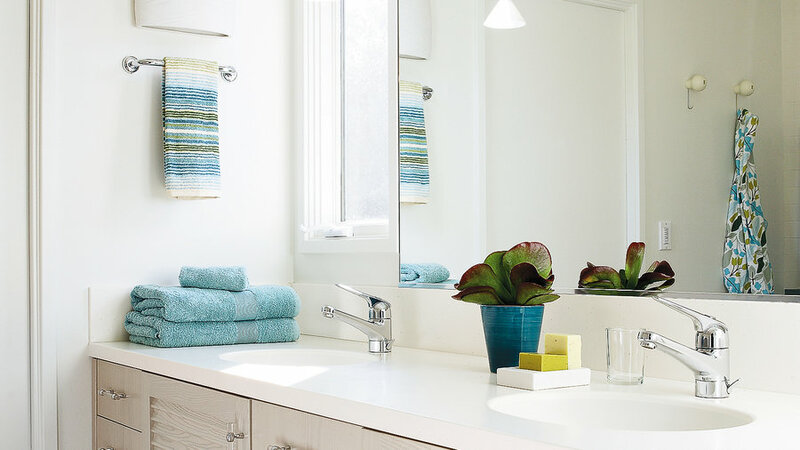 Back-to-back floating vanities give each person his or her own space. 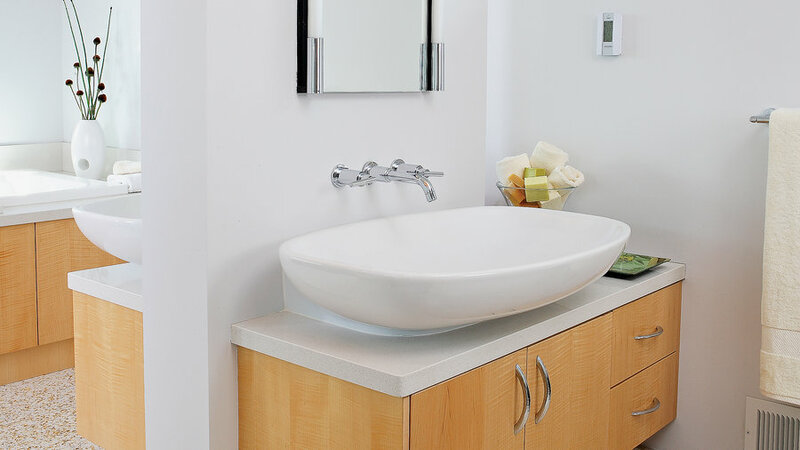 Deep, wide, wall-mounted sinks make a design statement, and setting them on a solid-surface countertop that connects on the far side means that some toiletries can be more easily shared. 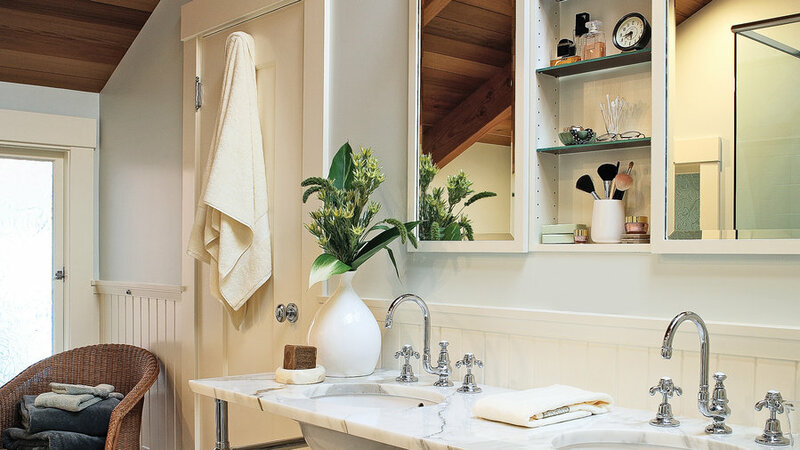 The freestanding cabinet reflected in the mirror and the floating vanity were both constructed from reclaimed Douglas fir. 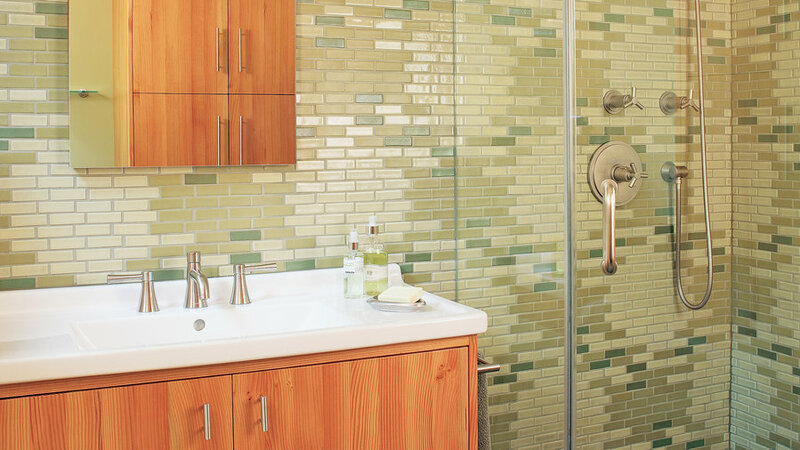 On the wall, random-patterned ceramic tiles in five shades of green add another earthy element to the design. Instead of lowering the vanity so kids can reach, keep it at the standard height and incorporate a stool in the toe kick that can be pulled out when needed so you aren’t constantly tripping over it. 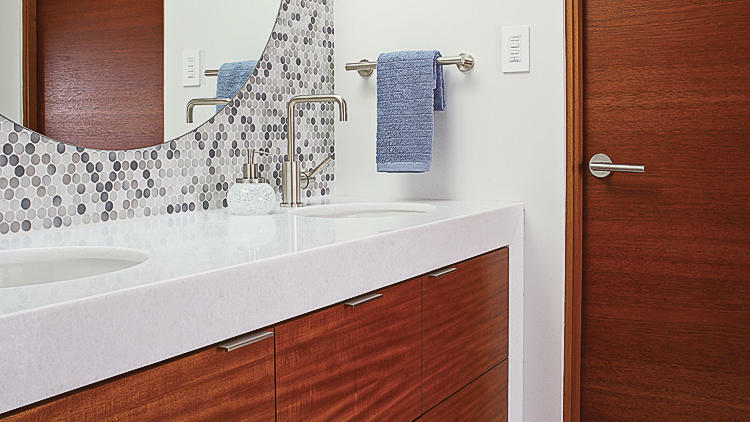 “If the family really wants a lower vanity, I suggest doing a split-height vanity at 33 or 34 inches high—a little lower than average so that adults have to stoop a bit and kids have to reach a bit for a happy medium,” advises interior designer Terrell Goeke. Resembling a fine piece of furniture, the vanity takes up very little floor space but has a strong presence in the room. Moreover, all the built-in drawers and cabinet allow for ample storage space. 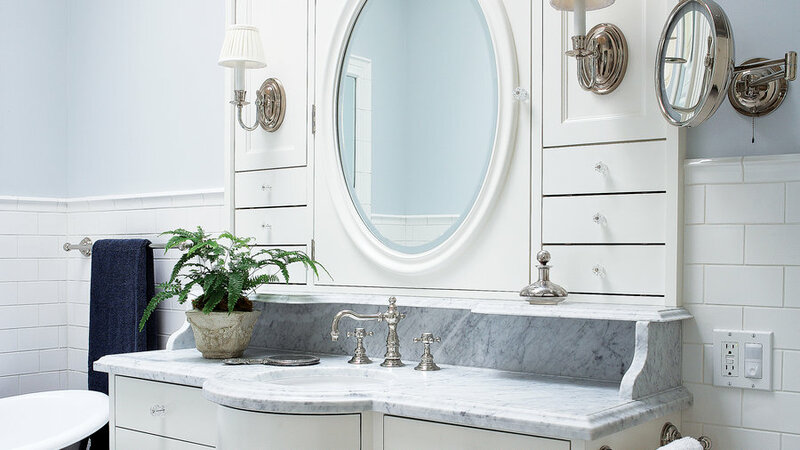 Old-fashioned wainscot is the perfect backdrop for this console vanity, as it can be seen both above and below the marble countertop. 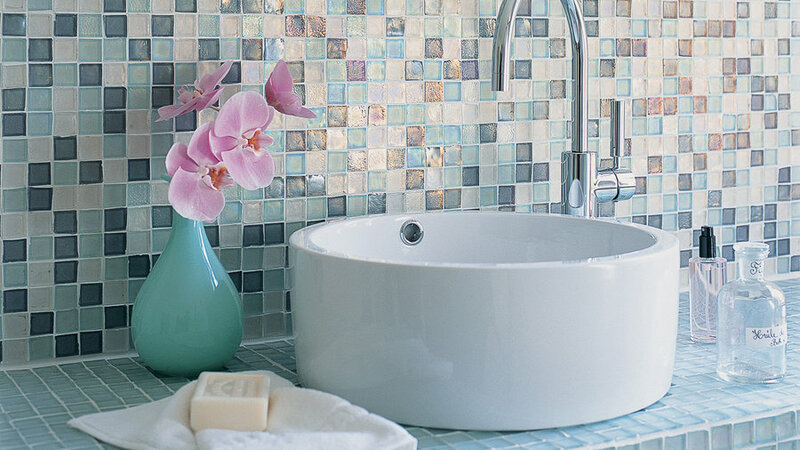 Ice blue glass mosaic tiles cover the countertop and extend into a tiled wall that also includes white and ocean blue. The white solid-surface counter in this kids’ bath doesn’t compete with the strong pattern on the floor. 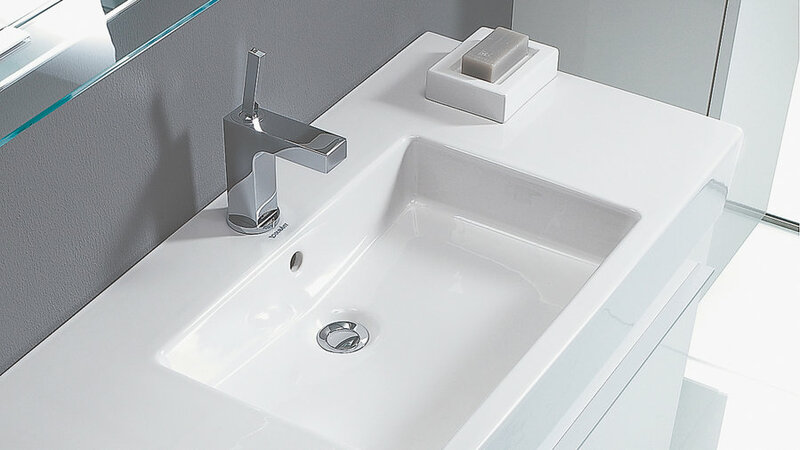 This inte­gral porcelain sink is set on a floating white cabinet and has ample counter space on either end. 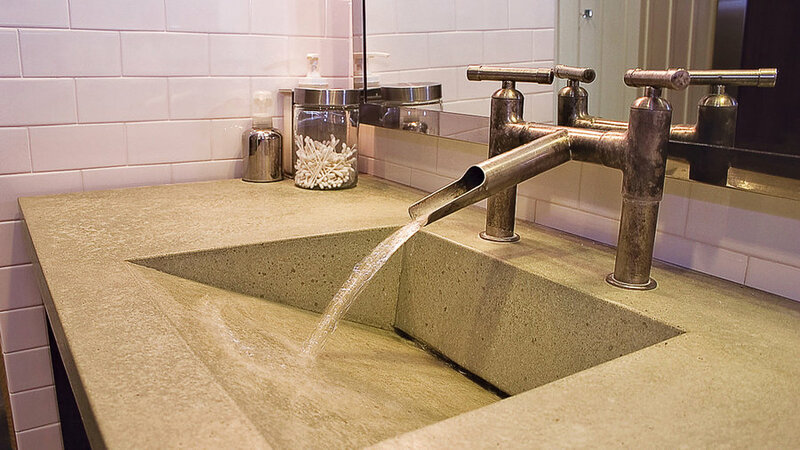 Concrete fabricators can get creative with integral sinks, as they aren’t limited by standard molds and sizes. In this example, water spills into a reservoir that leads to a pipe under the sink. 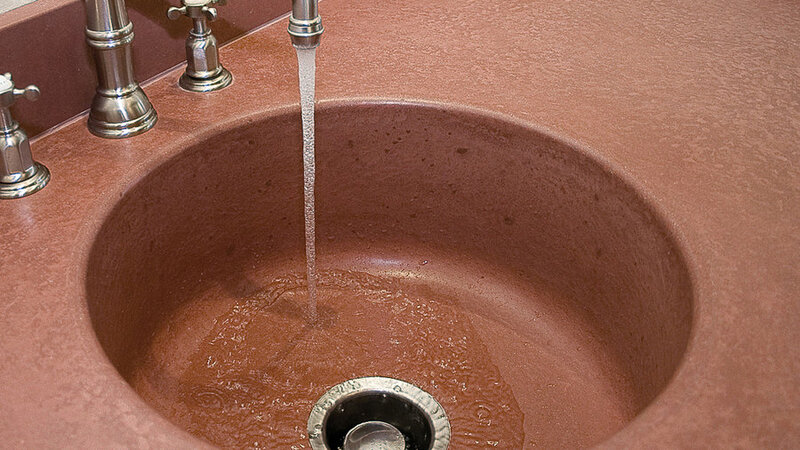 Enameled cast iron is a long-lasting, maintenance-free choice for a sink. 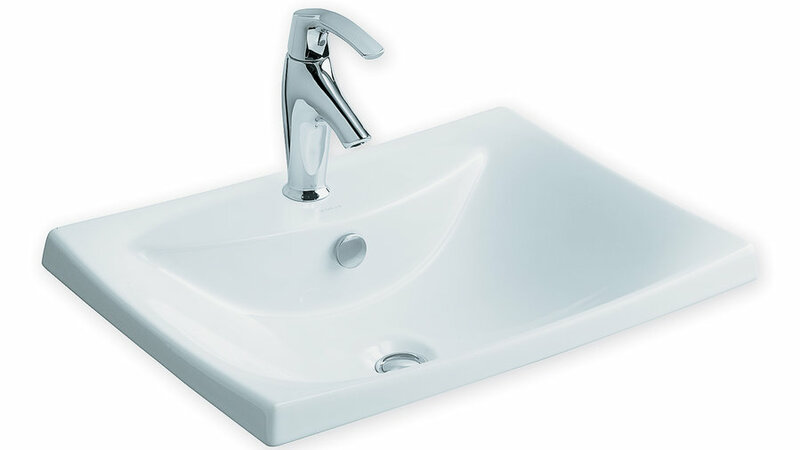 Sleek wall-mounted faucets pour into both sides of a center-sloped double sink. 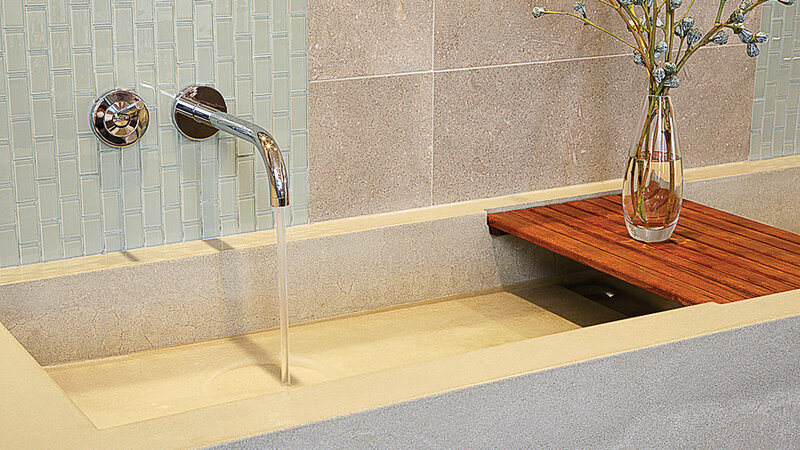 This smaller-than-average rosy pink concrete integral sink works well in a half bath.